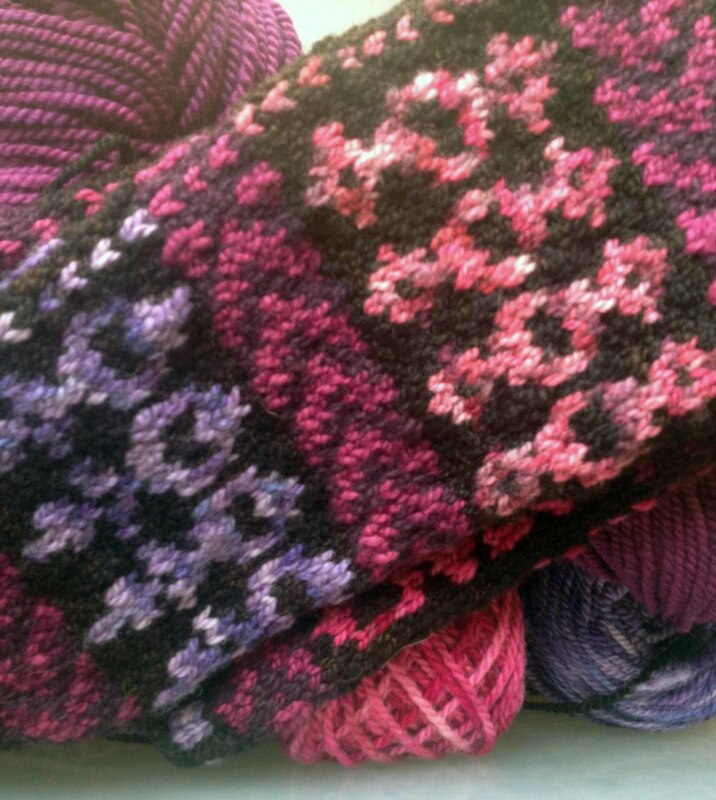 Taj Mahal Socks - Still need to cast on for the second of the pink/purple/black colorway. Gifthorse Hoody - A makewearlove Custom Fit Sweater. I'm using my Helix yarn in colorway The Good Earth. The sweater back is done, and I'm starting on the sleeves. I'm doing the sleeves two-at-a-time from the same skeins to even out the color since there are two dyelots involved. Still loving it, still can't knit it at night. April Free Pattern - Secret Knitting! - If everything goes according to plan, this shawl design will be ready to release in the next week or so. Please keep your fingers crossed! In other news of the ongoing sort, we've moved! The photos above are the before and after of a funny little kitchen nook that I've converted into my dye lab. In the old layout, the refrigerator was blocking the entry to the space. When I pulled it out, I found a sticky trap with a dozen dead roaches, plus a rat trap (thankfully empty). After a lot of scrubbing, the tile is looking really good for its age, and I hope to be ready to dye tomorrow. The new place is in a funky, quirky, pre-war building in a maze of leafy lanes. Everything is unpacked, and we're about 60% settled in. There's still a lot to be done in the living room, but I have my office 100% ready to go and the loom is re-assembled and awaiting its next project.